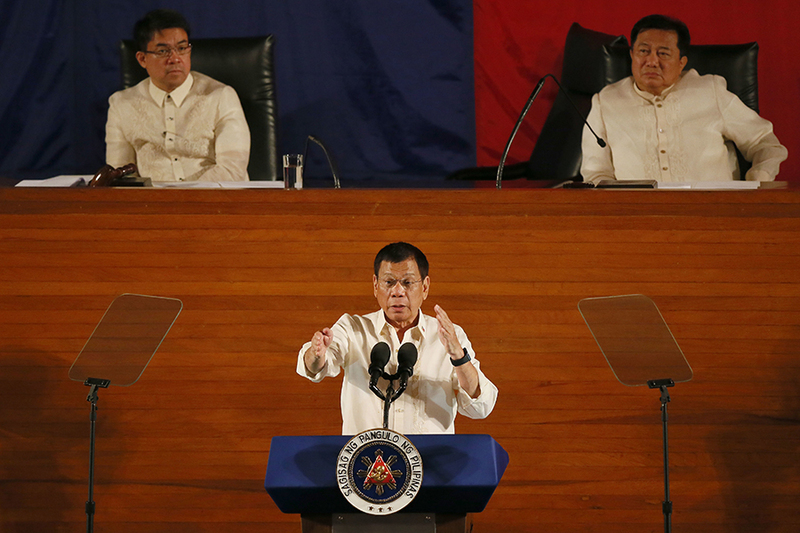 MANILA -- The House of Representatives has geared up in ensuring a "safe and secured" holding of President Rodrigo Duterte's third State of the Nation Address (SONA), an official said on Friday. "We’re happy to tell you that all security plans and deployment are in place for the SONA," House sergeant-at-arms Roland Detabali told a press briefing. "We have had numerous inter-agency meetings, planning, and rehearsals to ensure the safety of our President, the VIPs, guests and personnel considering all possible scenarios from bombings, fire, chemical attack, etc.," he added. Detabali said security forces are trained and experienced with vital equipment and are capable of dealing with all possible contingencies. He said more security forces and equipment will be deployed this year compared to last year's SONA, considering that the situation in Marawi City has been resolved.